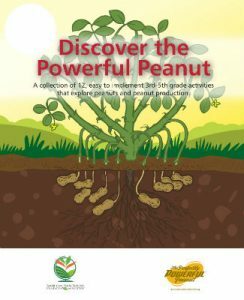 Discover the Powerful Peanut is a collection of 12 easy to implement 3rd to 5th grade activities that explore peanuts and peanut production. Our peanut farmer experts pooled their knowledge, creativity, and resources to bring you twelve 15 to 45 minute peanut learning activities that are sure to engage your students in thought-provoking and fun ways. Meet America’s peanut farmers and learn more about their passion for farming and supplying consumers with an affordable, sustainable and nutritious product. Looking for resources related to peanut health and nutrition? Now you have instant access to the latest and most noteworthy research in the nutrition field.